The QSITE Townsville Chapter was formed in 1993 and provides collegial support and professional development to educators in Townsville, Ingham, The Burdekin and Charters Towers. 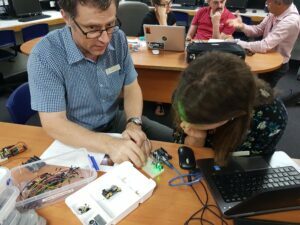 Townsville Chapters activities cater for teachers from P – 12 and are available for those in State Schools, Catholic Schools and Independent Schools, as well as preservice teachers from James Cook University. Click the button below to join our Townsville Chapter Email List.